When it comes to what makes the best recovery protein powder, some of the key elements that make up the best recovery proteins are forgotten about due to a lot of misinformed websites and reviews that say all you need is protein and it does matter what kind. Well, that it far from the truth when it comes to what nutrients your body needs to obtain the quickest and healthiest recovery that is possible. Even some of the top protein companies in the health and fitness industry at best only incorporate about one or two of these ingredients in them. Training makes you weaker but recovery makes you stronger. You can search GNC or any other top local supplement shops and you still won’t find what you truly need to obtain the optimal results from a proper recovery after a workout. Let’s be honest cause we have all been there, say you walk into a GNC and research all the protein products that they have then after a while things start to run together because they all pretty much have the same ingredients so we often end up asking the 100lbs girl that works there about what is the best protein. Do we really believe what she is saying, probably not but we are tired of searching so we end up buying whatever she says is the best. Enough about what we have experienced in the past, let’s get to the key ingredients that do make up the best recovery protein powder. Here is a list of ingredients that will produce the best in cell recovery and muscle growth. Hemp Seed will give you a plant based protein to help with small fiber cell recovery. Goat Whey is closer in molecular structure to human milk than cow’s milk, leading many to postulate that it is easier on the body to digest. It contains a complete amino acid profile ideal for nourishing tired muscles. Goat Whey is also free of any hormones or additives that a lot of proteins tend to have to mask other. 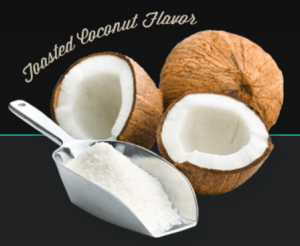 Coconut Water Powder is known for its ability to make sure you have good hydration. Colostrum is the nutrient dense milk that nourishes a newborn animal and helps modulate a healthy immune response. Instantized Branched Chain Amino Acids have been long known in the world of bodybuilding as three amino acids (L-Leucine, L-Isoleucine and L-Valine) and are crucial for the synthesis and recovery of muscle tissue. Creatine helps the body with the synthesis of muscle fibers and improves available energy output. The only supplement that offers all of these ingredients together is Onnit’s Recovery Protein. The reason I what to note for anyone to start taking the best recovery protein powder is to get the best possible results that they can from a supplement that they use. My question is, why would you workout and put your all into having better health or physical status when you do not add the key component which is proper nutrients? From my own experience, I have worked out every day but not had the proper nutrition and all it did was keep me sore and fatigued and at times killing my motivation by not having enough energy to do anything. Since I have a better understanding of what is needed for proper nutrition after a workout, I have been able to have a faster recovery time and I do not get fatigued or even stay sore. Some of us have to learn for ourselves and some of us listen to the voice of experience which is what I would have done if I could go back. I am 36 years of age and am in the best shape of my life because I understand the benefits of proper nutrition. There are many different places to get protein supplements that help aid in building muscle however there is only one place that makes a supplement with all the ingredients that I have listed above. This is the same place that I get all of my supplements and where I get my recovery protein. So to answer the question of who has the best recovery protein powder, I would have to say from my own experience that it is Onnit. From my own research, this is the only place that has all of these ingredients in one supplement so it is the best value added for nutrition and the best value added for the price. Normally you would have to buy most of these ingredients separately so the cost would go up but Onnit has already made a protein supplement that has all of these. Onnit labs are one of the only companies that thoroughly tests all of their products to make sure that the very best quality is being produced, they know that anyone can make a supplement but not anyone can make a supplement of excellent quality such as they do. This is a feature that I admire in a company that I buy my supplements from as the word quality is becoming lost in translation when it comes to being healthy and at your physical best. 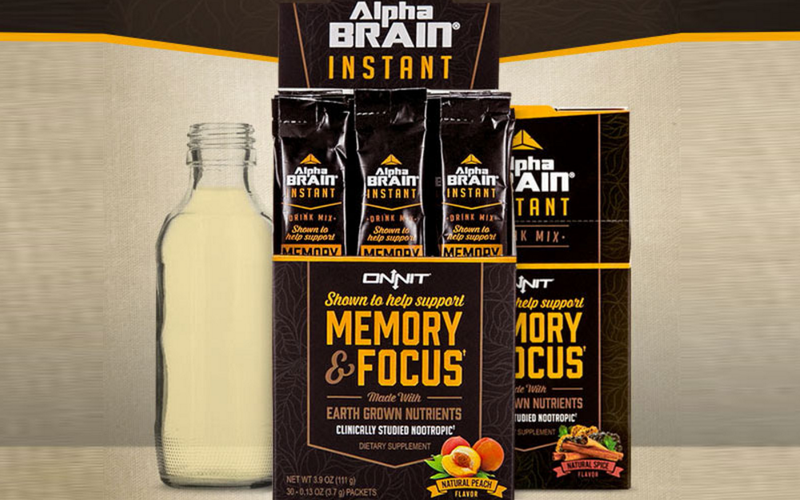 Onnit labs not only makes the best per their own research and development, but they also allow their products to undergo double-blind case studies to see what the real effects are so they have a sound mind when they say it is of the best quality. The name of Onnit’s product is Recovery Protein and I have written a full review on this product. If you would like to read more about experiences with Onnit’s product then click here Recovery Protein. This review will help you understand why I choose to use Onnit’s Recovery Protein and some more helpful information on what the product has to offer. Onnit’s Recovery Protein has helped me obtain a better recovery after those hard workouts so that I do not wake up the next day and feel drained from doing anything. Don’t get me wrong, you do need the proper amount of rest as well but having the proper nutrition is a key element in having a well-rounded system to help you reach your optimal potential. I recommend that you check out my review section on this website to see what are some key supplements that could help you achieve your goals, I also share different ways to make shakes and smoothies so that you can get better tasting drinks. I have actually found a few that are my all time favorite which I consider my cheat shakes but are actually have great nutritional value. Again, here is the link to my review of Onnit’s Recovery Protein so I hope you choose to try it for yourself. I would love to hear your thoughts on this article and what you would like to see in the coming future that may aid you with achieving your goals. Please leave me a comment and I will reply as quick as I can. Glad you enjoyed the article, I use several types of proteins to aid in the best recovery that I can get. Dolce Whey and Hemp Force in the morning and Recovery Protein and Casein throughout the day. That is a very informative review of the value of proper protein recovery powder. I have some questions for you. 1. Where does the colostrum in the powder come from, goats or cows? 2. What should I do if my genotype reacts badly to coconut water? Is there another product I could use instead? Very interesting questions, but as far as colostrum. It is from goats which is one of the closest animals that we can get nutrition from that best fits ourselves as humans. As far as the 2nd question, you can try Dolce Whey protein. It is a very good whey protein that will aid you close to the same way. Awesome and very informative! I have been into fitness for almost a decade now and I used to take recovery proteins such as this but I stopped because I did not like those chemicals that I see at the ingredients at that time. Do you recommend any brands that has natural ingredients? Yes, I fully recommend Onnit’s Recovery protein as it is made from truly a great product with no harmful ingredients such as you have ran into in the past with other supplements. This is the main reason I choose Onnit as where I get all my supplements, so there is no risk.